Where Is My Koi Pond For The iPad? When Apple brought us the ability to load apps onto the iPhone and iPod Touch, one of the first high downloaded apps was Koi Pond. It got all kinds of press for the developers and their numbers kept going up. Even though it didn’t do anything industrial to help get your job done. Koi Pond brought us a bit of nonsense fun… everyone loves to watch Koi fish swim effortlessly about a pond. And, everyone really likes to tap the water and watch those fish shoot away. 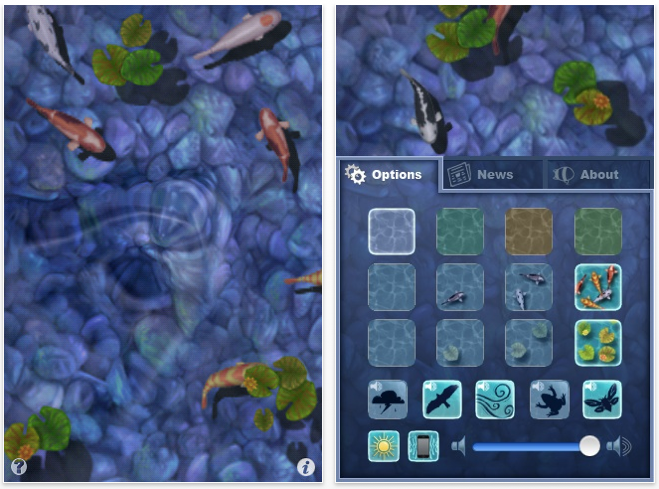 With all of the mentions of new apps that will be available day one of the iPad release, there has yet to be any mention of Koi Pond. Have developers missed the image of the iPad sitting on the conference room table, alive with the sound of light rain and swimming fish. It would almost appear like a framed window through the table to a fish pond. Another missing item, along the same lines, is iZen Garden. Again, an app that isn’t about taking a note or researching a Web site. 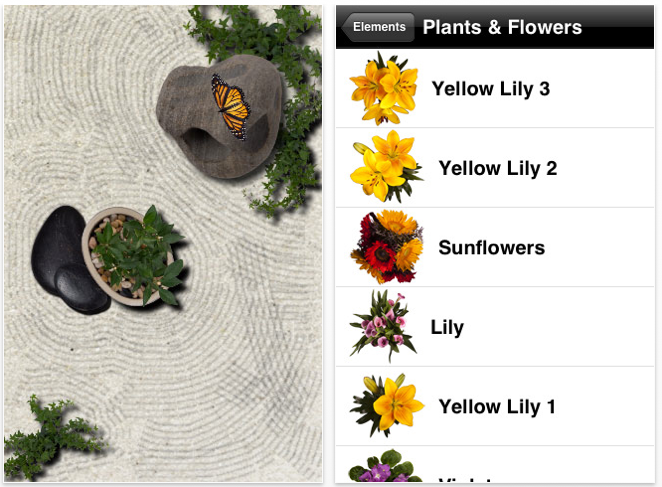 This app will find it’s home on many a iPad laying on a desk. There have been many a conference calls that could have used the calming effect of being able to rake my choice of sand around a few well placed rocks. No, I’m not kidding around here… there is something to be said about apps on the iPad that slow the world for just a bit.